There are several options for digital signage for the dental profession, just as there are several dentist from which patients can choose from! When selecting a dentist patients have criteria they consider before entrusting their dental health to a doctor. 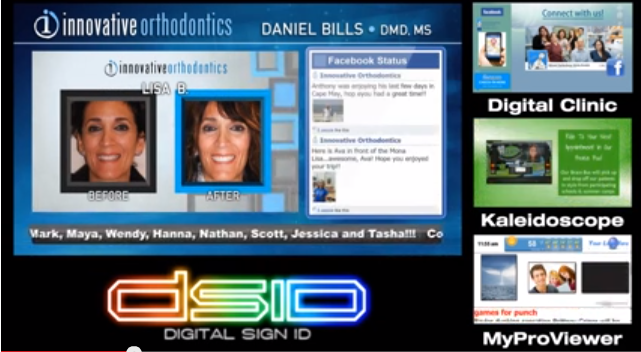 Take a look at the video above displaying the comparisons and call Digital Sign ID for more information regarding our services. Probably all of that ten ideas are the best way to deal with digital signage for your business. People now is not satisfied with what they see in advertising otherwise if you can make it nice and easy to understand.